Iron Maiden are set to play the final show of The Book Of Souls World Tour on the 4th of August at Wacken Open Air Festival and are going to be live-streaming the whole show. ARTE Concert will feature the entire iconic performance via Livestream, promising lavish camera attention and access from anywhere in the world. Iron Maiden Manager Rod Smallwood says: “We decided to finish the tour at Wacken as it is the ideal way to end this magical tour playing to 80,000 core metal fans at this legendary Metal festival. Everywhere we’ve played the fans have been amazing and the reaction to the new songs and stage show has been phenomenal. The band has loved every minute on stage. Say Holger Hübner and Thomas Jensen of ICS and Wacken in a joint statement: “We are incredibly happy to be able to give all these Iron Maiden and Wacken Open Air fans, worldwide, this highlight at the close of the spectacular ‘Book of Souls’ Tour. 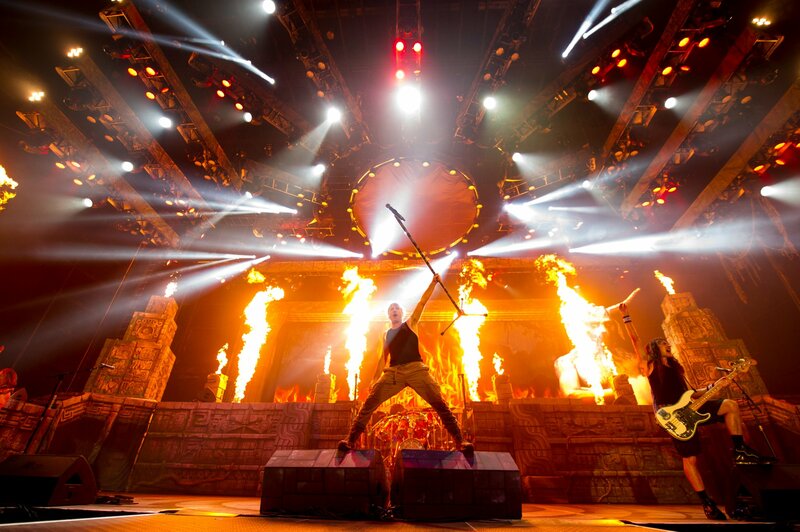 Iron Maiden’s The Book of Souls World Tour has been on the road since late February, playing to over 1.5 million fans with 72 shows in 36 counties and six continents. Iron Maiden at Wacken Open Air with The Book Of Souls World Tour is on Thursday, 4th August, from 9.30 pm CET. You can watch exclusive and worldwide on Livestream at http://concert.arte.tv/de/wacken and http://www.wacken.com.